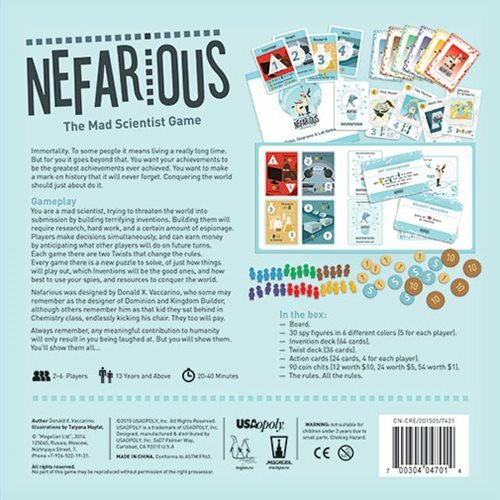 Nefarious The Mad Scientist Game is a strategy game by Donald X. Vaccarino. 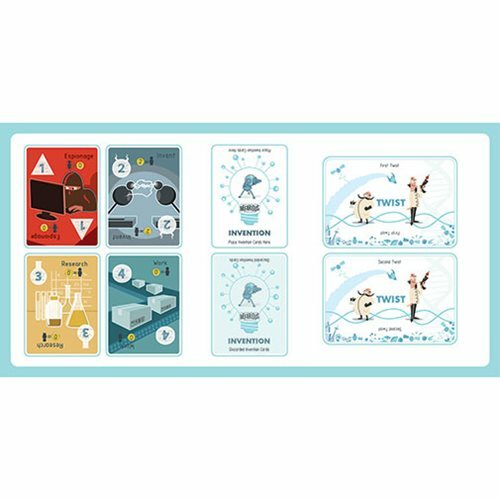 You are a mad scientist attempting to destroy the world. To do so, you must build terrifying inventions which require research, hard work, and espionage. Unfortunately for you, other mad scientists are trying to steal your evil glory by destroying the world first. 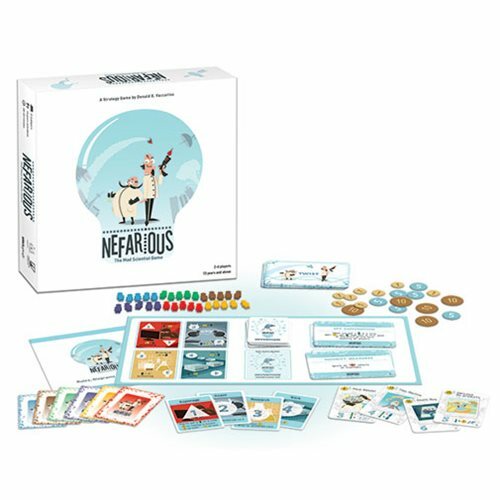 Overtake your rivals and become the most notorious mad scientist in history! 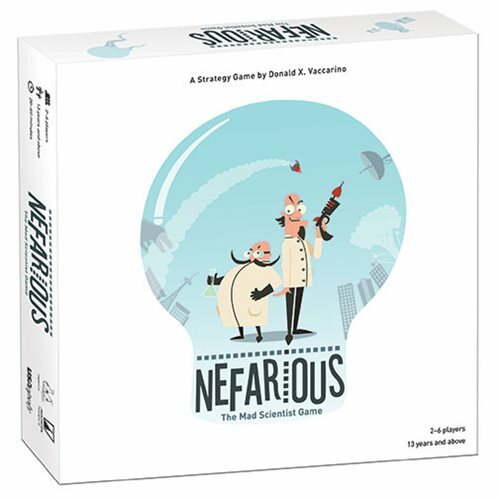 The Nefarious: The Mad Scientist Game is a great addition to your next game night. 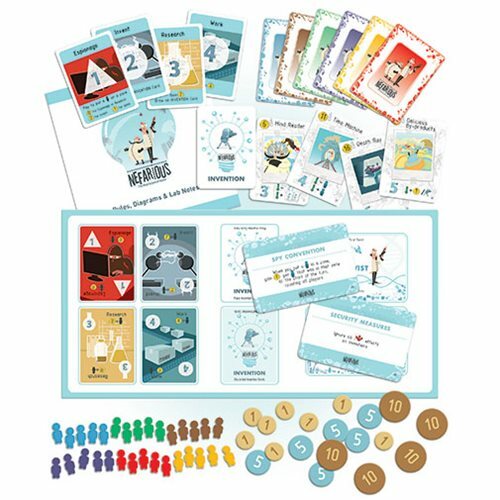 For 2 to 6 players. Ages 13 and up.